Dorothy Counts-Scoggins was among the first African American students to integrate Harding High School in 1957. Now, more than 60 years later, she will discuss this historic moment as the keynote speaker for UNC Charlotte’s annual Martin Luther King Jr. Celebration. Her talk, "Timeless Change: The Time Was Then, The Time Is Now," is free and open to the public and is scheduled for 3:30 p.m., Tuesday, Jan. 22, in the Cone University Center, McKnight Hall. At the time, Charlotte was a segregated city, with designated black and white schools within the district. Three years after Brown v. the Board of Education, the city had yet to comply with the ruled changes. In 1957, black citizens mobilized to exercise their legal right to attend white schools. In the hopes to obtain a better education, four African American students began the movement to integrate in assigned white schools. On the first day of school, Counts-Scoggins was met with an angry crowd of students and adults. She was pushed, spat on and endured racial slurs as she walked toward Harding High School. Students taunted her by throwing sticks and stones as she walked into the building. While in the classroom Counts-Scoggins was relegated to the back of the classroom, where teachers and administrators ignored her presence. A local civil rights icon, Counts-Scoggins is retired from Child Care Resources Inc., a private nonprofit care resource and referral agency that works with families and communities to help high-quality and affordable early education opportunities. She continues to be active in her community, Biddleville-Smallwood, as a speaker at local schools. 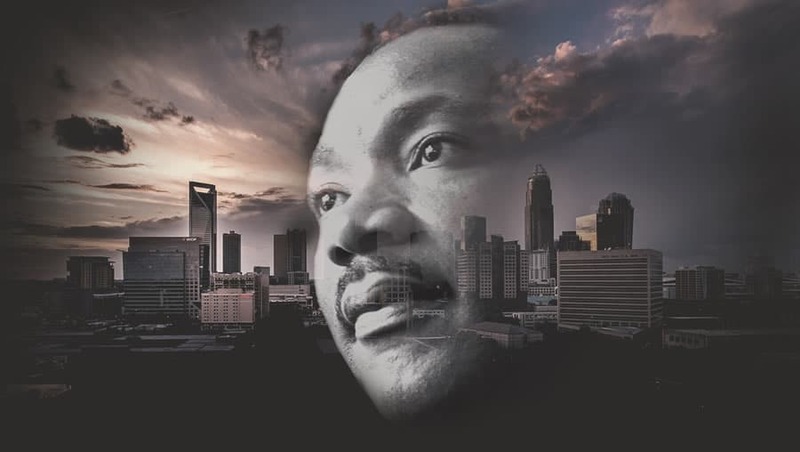 The Office of Identity, Equity and Engagement hosts the University’s annual MLK Celebration, which honors the life, work and legacy of Martin Luther King Jr. The program also will feature recognition of campus partners and a candle lighting ceremony. Email Sean Langley, assistant director for Leadership & Community Engagement, at slangley@uncc.edu for more information on volunteering for the MLK Day of Service.